These are what I have been skating the last couple years. Straps are elastic and long enough that I am able to route them in an X-crossing pattern on the inside of my knees and elbows, which keeps them centered where they need to stay. 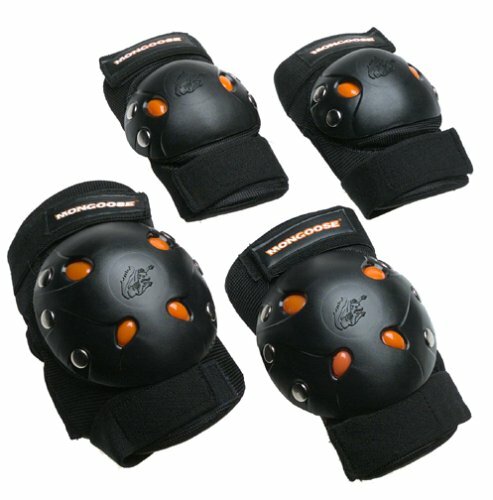 They are very lightweight, yet have given adequate protection for several crashes during this period. The price is hard to beat, even if they only last one year. Interesting, but the Amazon link is for youth sizes. They don't seem to be available in adult sizes at all.